Columbia University Press, 9780231149341, 372pp. David C. Brotherton is professor and chair of sociology at the John Jay College of Criminal Justice and at the Graduate Center, the City University of New York. His most recent book is Keeping Out the Other: A Critical Introduction to Immigration Enforcement Today. 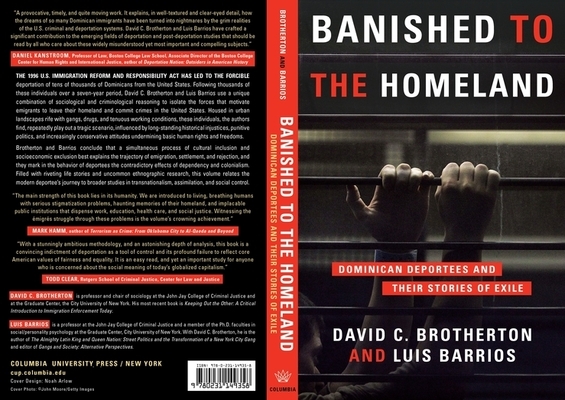 Luis Barrios is a professor at the John Jay College of Criminal Justice and a member of the Ph.D. faculties in social/personality psychology at the Graduate Center, City University of New York. With David C. Brotherton, he is the author of The Almighty Latin King and Queen Nation: Street Politics and the Transformation of a New York City Gang and editor of Gangs and Society: Alternative Perspectives.